Why Buy a CLA From Us? A large part of buying a luxury vehicle has a lot to do with the car shopping experience. 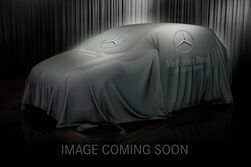 Here at Mercedes-Benz of Arrowhead, we pride ourselves on an upscale, professional car buying process. We’ve been serving the Phoenix area since 2008, and we treat our customers like part of our extended family. We offer a wide selection of new, certified pre-owned, and pre-owned models to choose from—so you’re sure to find the vehicle that best fits your needs. Choose Phoenix’s premier Mercedes-Benz dealership for your next luxury car shopping experience. Contact us today to schedule a test drive in a new Mercedes-Benz! How does the 2018 CLA Compare? The 2018 CLA Coupe is affordably priced for its segment and performs well against the competition. The following comparison chart highlights how the sports coupe stacks up against two of the model’s top competitors—the INFINITI Q60 Coupe and the BMW 230i Coupe. The chart explores areas like starting prices, engine specs, and output. Select the links in the respective boxes for the full comparisons between the 2018 CLA Coupe and each model. What does the CLA Coupe have to Offer? One of the brand’s most affordable models, the CLA Coupe offers consumers the chance to experience exhilarating performance in a luxury sports model while staying within budget. Affordability doesn’t mean sacrifice, either, as the CLA Coupe is seductively stylish and filled with premium features to enjoy. The model offers a variety of configurations, including an AMG® model and a model equipped with 4MATIC® all-wheel-drive.